The words “Svensk Rök” may conjure images of ABBA or Eurovision, but far from referring to golden haired Swedes singing in spandex tights “Svensk Rök” translates into “Swedish Smoke” – an entirely appropriate name for a smoky Swedish whisky. 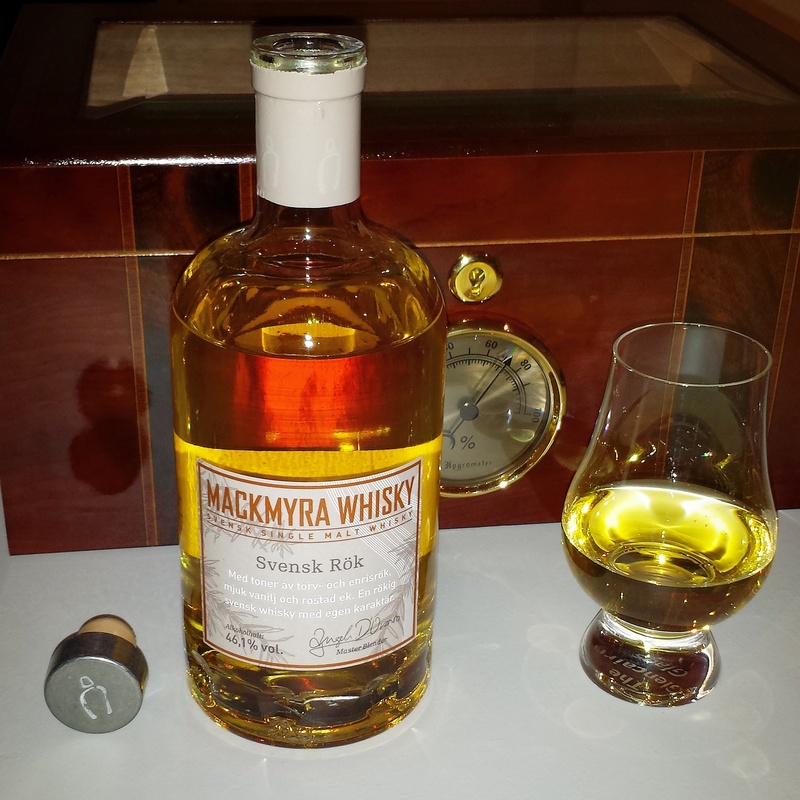 Mackmyra Svensk Rök is a whisky that projects a smokier flavour profile than other whiskies in the Mackmyra range, being comprised of whisky that is crafted using peat bog moss and juniper twigs. The use of juniper twigs in particular seems to infuse the whisky with a distinctive smoke that is refreshingly different to the peaty style whiskies from other parts of the world, such as Islay in Scotland. The nose presents with crisp celery and the waft of peat, as mild juniper smoke dances around raw sugar crystals, orange zest, mild vanilla and a very watery vanilla latte. On the palate the whisky is smooth and slightly more potent than the nose suggests, showcasing notes of distinctive juniper smoke, peat, toasted twigs, raw sugar in espresso, cinnamon, soft vanilla and oak. The finish is particularly spicy presenting with cinnamon, dry chili flakes and the lingering bite of a mildly bitter green olive that seems to morph back and forth into a oven baked pitted kalamata olive. Overall, Mackmyra Svensk Rök is a smooth and well balanced whisky that offers a distinctive smoke, peat and spice that is unquestionably Swedish in its design. Its nose was strangely watery, but the thump of Swedish smoke on the palate made up for that lazy start. This entry was posted in Swedish whisky and tagged juniper twigs, Mackmyra Svensk Rök, Svensk Rök. Bookmark the permalink.